SORRAIAS – WHAT CAN THEY DO? Some say: It's all good and well to vaqueiro Sorraias as a genetic resource, but if they are not a domestic breed, but rather wild horses, can one still ride them, or do anything with them? The short answer is yes. But as they are not bred for specific performance traits, Sorraias vary a lot as individuals regarding attitude resp. disposition. Some are quite mellow, once tamed, and can easily be trained, others are of not much use even when trained by a professional. While in a riding horse breed, relying on performance pedigrees will almost guarantee a suitable riding horse, this is not so with Sorraias, and it takes a horseman‘s eye and experience to select one that appears to be of the right disposition. Generally it can be said that, once a Sorraia learned to trust someone, it can make a good mount. It should also be said that most are naturally inclined to be rather a „one-person horse“. 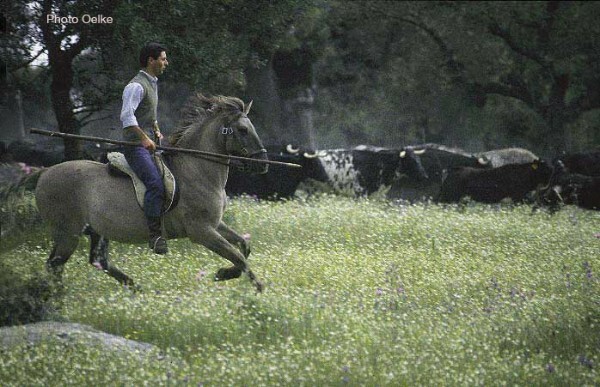 Sorraia horses have been used as mounts for the Portuguese vaqueiros and campinos (cowboys), and one or two were still being used for general ranch work on one Portuguese estate until very recently. 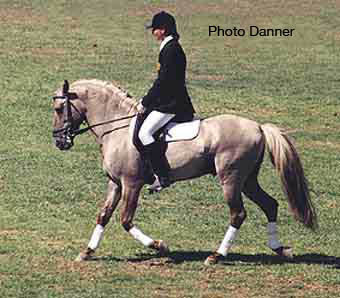 Some have even been trained to perform at the highest dressage level. 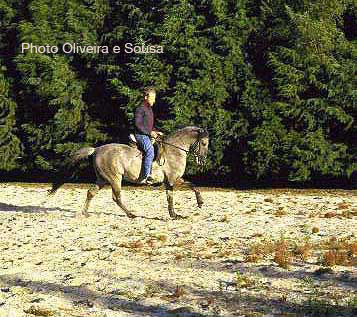 Portuguese horsewoman Madalena Abecassis has competed in driving contests with a team of four Sorraias (stallions). 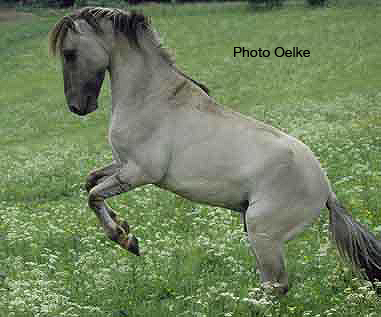 Sorraias are held to be the best mount for ranch work, and general cross-country riding. Mature stallions have been broke to ride which had been nothing but herd sires before. 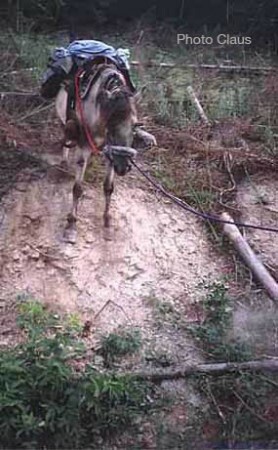 Within months they became docile and reliable riding horses.